Hi-P established its industrial roots as an insert molding and metal forming tool maker founded in 1980. In 1983, current Executive Chairman and Chief Executive Officer, Yao Hsiao Tung acquired management of company. After the worldwide recessions of the mid 80's, Hi-P's success flourished with the expansion of overseas manufacturing facilities in 1993. 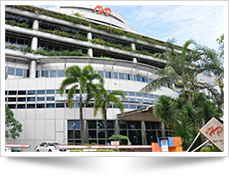 Robust growth throughout the next 10 years, Hi-P is now known as one of the many defining moments, a listing on SGX, the Singapore stock exchange. Today, as a leading contract manufacturing provider, Hi-P maintains a clear focus in contributing to our clients' competitive advantage by developing and providing manufacturing solutions of exceptional value. An efficient, continuous work flow, utilizing the latest in technology and waste-free operations are the hallmark of the company. Coupled with its solid relationships with clients, these elements have provided the economic support to allow Hi-P to grow as a business that lives by its core values of integrity and finding the best possible solutions for our customers.